So where do you look to unearth the real Venice? Of course, one way to start is the most traditional: wander alone, get lost and find yourself. Everyone does that. Read on to learn how to distinguish your time in Venice from the mass crowds. Doing a slow walking tour with Cristina is one of the best ways to get oriented. Forget San Marco–believe me you will find that yourself. Let Cristina, who has been a licensed tour guide in Venice since 1991, show you the back roads, um, I mean canals. Cristina will take you to little known neighborhoods, and pepper your stroll with fun, historical facts. For example, back in day, the first sign of spring was Peggy Guggenhiem lying naked on the roof of her palazzo, now the famous museum. Cristina’s tours are customized to your interests. I traveled to Venice with a design-oriented group (the Designhounds)– so she gave us a mini architectural lesson during our walk. We also had fun flirting with a gondolier– and enjoyed a glimpse of the last remaining gondola yard– just in case you ever wondered how those famous boats are maintained. This is fun for all ages, whether you are the crafty sort or not (I am decidedly not). 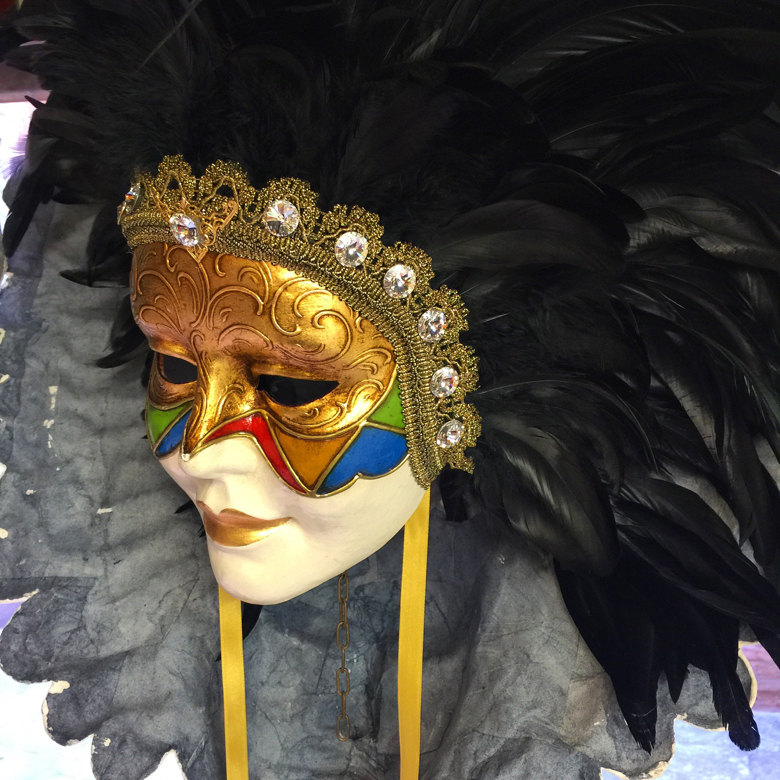 Book a session with Ca’Macana, one of the oldest mask manufacturers in Venice, where they respect the tradition of mask making in Venice that began 900 years ago. You will learn that wearing a mask in Venice began in the 12th century and during the 18th century, you did not leave home without one. Hiding your face led to all sorts of mischief like gambling, drinking and games of seduction. They also were worn by doctors to scare off the “evil spirits” once thought to carry illness. After a brief history lesson and some instruction on technique, you jump into creating your own mask. You leave with fabulous memories and a conversation-provoking costume for your next Halloween. Forget the tours available to everybody. You should book a private tour with the firm Seguso, who has maintained a glass furnace on Murano since 1397. All of Seguso’s wares are handmade in a 2400 degree furnace that is lit 24/7. The highlight of my tour was witnessing a glass blower wield his long wand with a blob of glass at the end like a majorette. With a few twists of the wand, the glass blob fresh from that scorching oven emerged as a glorious vase. You have got to see this yourself. Many have heard of the fabric firm Fortuny. Their showroom on the island of Guidecca is open to the public on weekdays, and every day during the summer. But you must schedule an appointment specially to see the real gem–a private garden at the rear of the showroom created by a former owner of the firm, the Countess Elsie Lee Gozzi. It’s utterly charming. Among other sites, you will see La Contessa’s rather modest Venetian residence, which now houses the offices of Fortuny’s creative director. I visited while massive amounts of wisteria were in bloom. How did I manage that feat?? I participated in a tour with Toma, The Antiques Diva. Don’t want to buy any antiques? Book anyway. I didn’t buy a thing, but I got inside some incredible places that you could not see otherwise. Toma works with locals such as my guide Ursula, whose family has lived in Venice since the 14th century. A highlight was our visit to the exclusive L’ Antichita’ Marciana where we saw plenty of wonders dating back to the 15th century. I wanted to move in. And who knows, you might decide to purchase your own relic from the Renaissance. Toma can ship it home for you. I also visited the legendary fabric firm Rubelli, whose studio just happens to be in a palazzo dating from 1524. The Antiques Diva arranged this visit as well (another reason to book with her). I loved my glimpse of Rubelli’s textile archives that stretch back to the Renaissance (remember I am a design nerd), but even if you don’t care about that stuff, you will adore the interior architecture. And sale alert for design nerds like me: I left with some highly discounted pillows in exquisite Rubelli fabrics. Score! So by all means get your picture taken overlooking the Grand Canal (I certainly did), but don’t miss these tucked away treats. Your Venetian experience will be incomparable. All photographs by Lynn Byrne.